I think the Double Stuffed Potato Bites from last week made an appearance at a few Super Bowl parties. A friend told me she has made Turkey Meatball Casserole a few times since I posted the recipe. And yesterday, I walked into one of my bestie’s home and Slower Cooker Chicken Marbella was bubbling away in her crock pot. These moments make me incredibly happy and motivate me to keep trying to create content for this space. Thank you for commenting and sending texts and emails. I want to hear the good and the not so good, so please be in touch! Next week, I have a review of a newish Boston restaurant coming but since next Thursday is Valentine’s Day, I thought I would dive into The Kitchen Scout archives and create a menu that maybe you can use if you are cooking for someone special. And if you’re not, maybe you can use this menu at a dinner party sometime. I don’t know about you, but I find menu creation to be challenging especially when you don’t want to default to roasted potatoes and green beans as your side dishes because they go with almost everything. This menu was developed based on what dishes and flavors my husband enjoys, with the exception of dessert as you’ll see. There are many other ideas on my website if these don’t appeal. 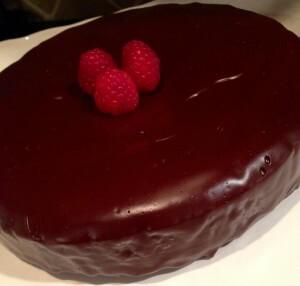 Just click on the Recipe Index and choose the category of dish you are seeking. For our main course, I would prepare Scallops Au Poivre with Broccoli and Cauliflower Rice. My husband adores scallops and I love the peppery bite this recipe provides. This dish takes absolutely no time to prepare so there’s the convenience factor as well. Since we’ve had some cheese in the salad, I am not repeating it in our main dish and as a result, the meal is lighter and healthier. 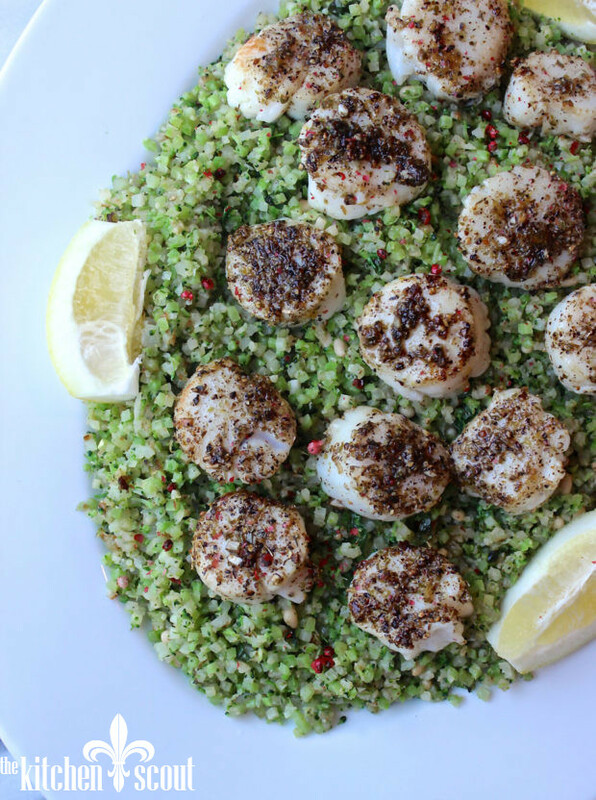 If you are serving the salad and the scallops on the same plate, you could just use cauliflower rice to make the dish as admittedly, there is a lot of green going on. Just don’t forget the pink peppercorn garnish because, Valentine’s. Or, you could make a different salad and I might suggest Maple Roasted Carrot Salad, swapping beets for the carrots if you made the Carrot Tapenade. See what I mean about menu planning?!! I hope these recipes make it to your dinner table soon! 5 stars for the Tuscan Kate and Brussels salad. Approved by Gook Group, My sweetheart on 2/14, and luncheon friends today. Planning to bring it to a giant pot luck of hunters and fishing people to complement all the game and fish! 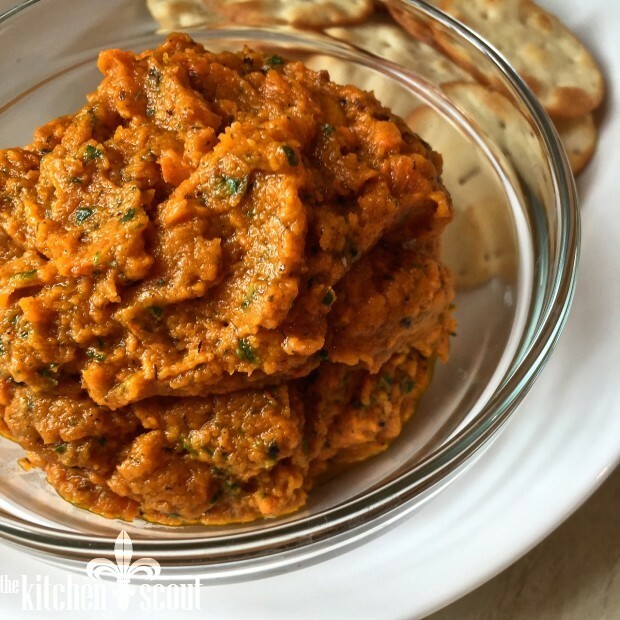 Roasted Carrot Tapenade also delish and will be my go to as a hummus alternative. Whole30 compliant to boot! And the scallops were also perfect. Easy, but substantial and tasty. Was a first for me cooking cauliflower rice on 2/14 and we both gave it thumbs up. Loved it with the toasted pine nuts. Thanks for putting together my menu, Val. Was so excited to cook for Valentine’s Day this year! 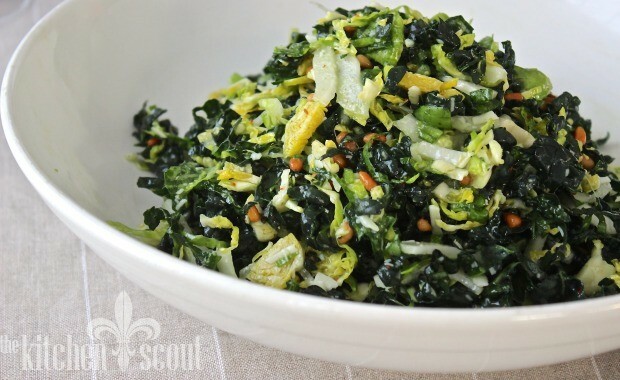 Happy to see the Shaved Tuscan Kale and Brussels Sprout Salad mentioned here. It was a big hit for Super Bowl along with Ina’s Chicken Chili! And you introduced me to a version of that recipe so thank you my friend! I will make these scallops on 2/14. Thank you. And I made the carrot tapenade for Super Bowl Sunday. Everyone liked it. We consume it at least once a month. After Christmas, my husband asked me not to buy anymore carrots for awhile. He is the peeler. I love roasted carrots, too. We try most of your recipes and love them. Thank you for keeping me cooking with enjoyment. Thank you so much for this amazing comment on the blog! You really made my day and I appreciate it very much. Love the part about your husband asking you not to buy carrots!!! I hope all is well and thanks so much for supporting the blog!